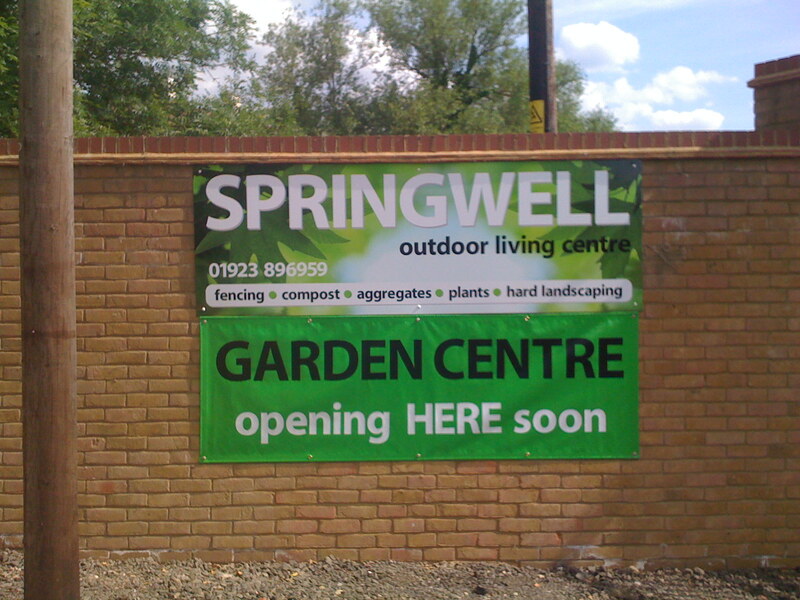 Advertising banner for garden centre with digitally printed graphics and type. Eyelets and screws are used to affix sign to brick wall. Weatherproof, cost efficient and durable advertising solution that can be removed or replaced at a moment's notice.